Tame your inbox today - prevent SPAM, viruses, malware, and dangerous messages from disrupting your business! 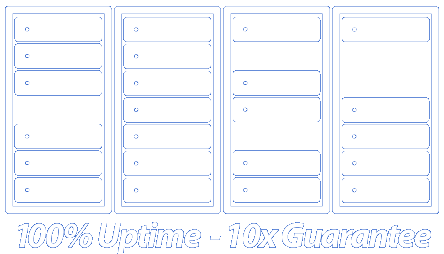 Eliminate capex and get your VPS online Now! Ridiculous performance and attractive pricing means you win. Is your old PBX tired? Want the latest in VoIP technology, managed, and turn-key? We do it all - check it out! Data102’s friendly and helpful staff along with its rock-solid data center make it the clear choice for Co-Location services in the area. Located in the heart of the Colorado, we're truly in the center of it all! Our SSAE16 Type 2 certified datacenter overlooks Colorado Springs, and provides the safety, security, and reliability that IT teams need!